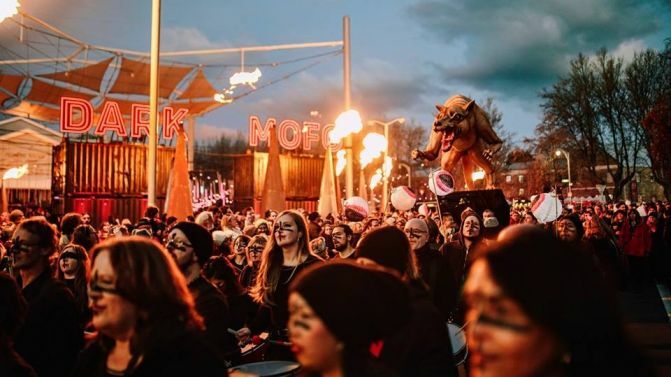 Dark Mofo is set for another huge one in 2019, spanning over three weeks in June. Last week’s first announcement from Dark Mofo Festival was full of dark concepts with exhibitions, performance artists, and weird installations. Today the Tassie celebration of art has announced the music side of the program which features stand out acts FKA Twigs, Sampa The Great, Dirty Three, Augie March and more. Not only that, there’ll also be the premiere of Against All Logic (Nicolás Jaar’s musical alias) and Liminal Soundbath (Jónsi from Sigur Rós and his collaborator Alex Somers). Creative Director, Hannah Fox says that while the event seems like the “most unlikely program” they could’ve dreamt up, that’s just how it evolved. “Intentionally or otherwise, the artists in our seventh festival have become connected through emerging themes of simulated, mediated and real violence, extinction and the supernatural. “The music program is huge and layered,” she said. The Hobart event kicks off on Thursday, 6th June and runs through til Sunday 23rd June. Tickets go on sale next Tuesday, 16th April. Night Mass – Empress Of, Gabber Modus Operandi, Faka, Ic3Peak, Sampa The Great, Mallrat, Junglepussy & More.